Acoustafil® uses only highly texturised glassfibre yarn made from continuous filament fibre. These are made into a non-woven textile utilising a unique processing technology. A choice of fibre chemistry offering temperature resistance up to 850oC. 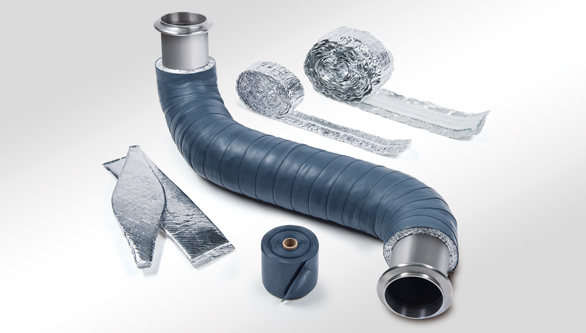 A range of densities to suit muffler production and end application. Compression release (expansion) of the material on initial heating to ensure maximum homogeneous fibre distribution within the chamber or void. 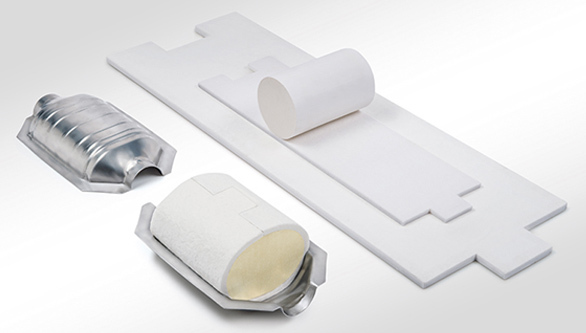 Acoustafil® is now the acoustic packing solution of choice for some of the most internationally renowned manufacturers of specialist sports car and motorcycle mufflers, for both OEM and after-market. 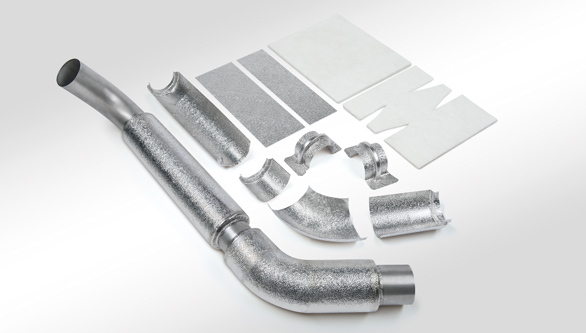 Acoustafil® has excellent thermal properties and ability to expand when heated make it the ideal solution for insulating between the twin skins of emission control systems, particularly where there is potential for gas flow over the fibres. 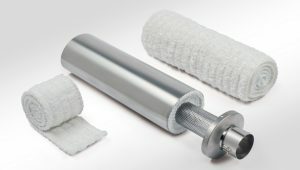 Reduces muffler assembly times, providing production efficiencies. Engineered product accuracy enhances client quality control and provides controlled fill densities. 3D shaped packs available for applications with complex geometries. Proven superior resistance to high pulse energies. ‘Expands’ to fill voids on heating. 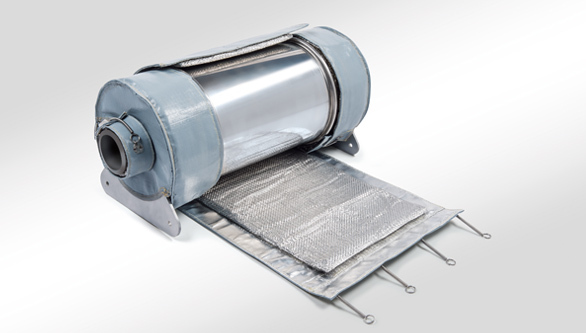 Provides excellent thermal insulation to reduce hot spots and the need for additional heat shielding. Low fibre migration and erosion. Contact us to discuss your requirements in more detail.